Do you struggle to find a single off-the-shelf solution that fits your business software needs? Whether it's finding the right Content Management System for your company website, or selecting the right platform for your e-commerce store, or help with making your team more productive, or advice on integrating custom web apps and mobile apps into your service offering, Intelligent Developments has the experience needed to assist. We can help you navigate a changing sea of choice to find the right tool for the job. If one tool won't do it, we can integrate multiple tools and cloud-based services to deliver a solution. If you can't find an off-the-shelf solution to fit your need, or if you see value in a more tightly integrated solution, we can build you something from scratch, custom built and streamlined to fit your exact needs. We keep things simple, we use the right tool for the job, and we keep our eyes on the prize. Understand what you are trying to achieve and how we can measure results. Map your objectives and goals through to a measurable solution. Identify key technologies, use the right tool for the job. Communicate with existing clients, connect with new customers. Create a beautiful new website for your business. Integrate and publish information from internal business systems or external information providers. Automate business processes and leverage 3rd party apps. Access your websites and web apps from almost any location on any device. 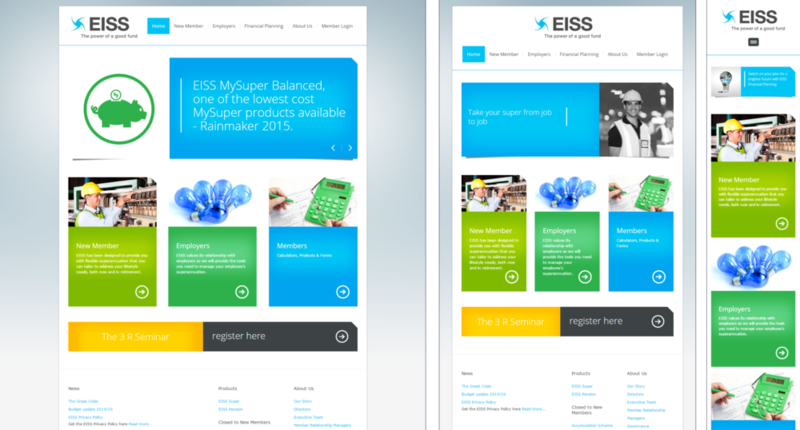 With a Responsive user interface, your website automatically adjusts to suit. The Energy Industries Superannuation Scheme provides retirement benefits for Energy Industry employees in NSW. The Scheme has assets of approximately $4.5 billion under management as at 30 June 2014. 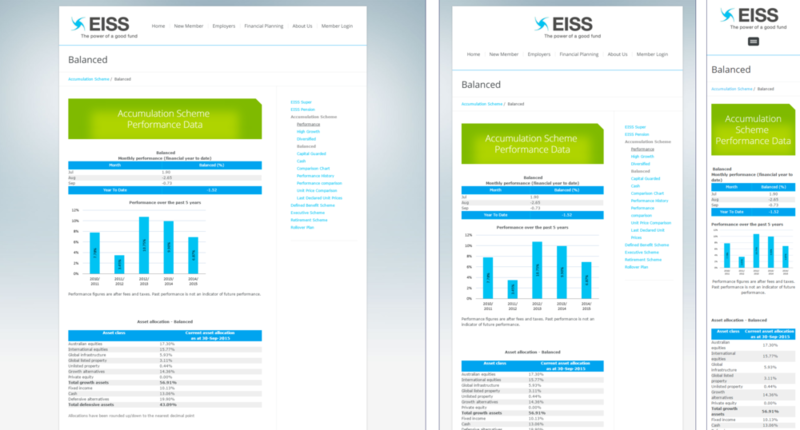 The EI Super website allows members and employers to get access to relevant information and performance data relating to the scheme, and provides a number of financial and investment tools. As part of Optus Rewards, Optus customers can access a variety of discounted cinema tickets, including $10 movie tickets and $5 kids tickets. Intelligent Developments created a custom platform to allow Optus Customers to register and log in, find their local cinema, select, pay and receive electronic movie vouchers. This platform is the largest independent cinema tickets platform in Australia.